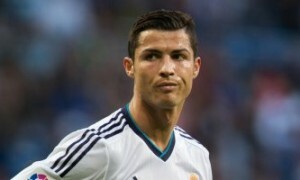 Sensational news are out claiming that Cristiano Ronaldo is ready to quit Real Madrid – and could rundown his contract. A Bola reported that the Portuguese international will NOT renew his Real deal and feels insulted by the way he’s been treated by the club’s board. The attacker has received an incredible signing bonus offer of €60 MILLION from an unnamed European heavyweight to quit Real. Ronaldo has been linked with PSG, Manchester City and former club Manchester United.